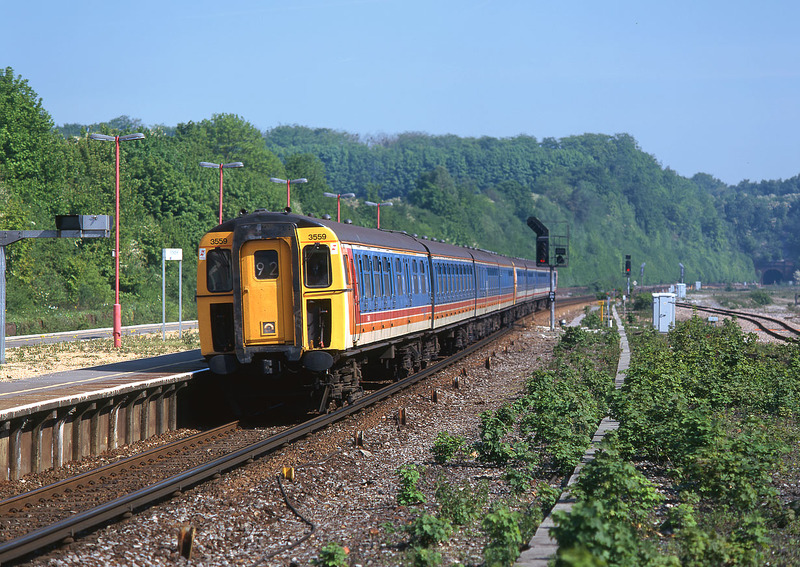 Class 423 4-VEP 3559 leads the 08:46 Waterloo to Poole South West Trains service through Micheldever on 16 May 1998. The entrance to the 198 yard long Micheldever Tunnel can be seen in the distance. Micheldever station has a single island platform, and formerly had an extensive range of sidings, the remnants of which can be seen on the right.